Ohaus Precious Gems balances are the full line of diamond, colored stone and jewelry weighing products ranging from high-precision analytical benchtop balances to handheld scales. Whether you need to measure in carats, grams, troy oz, grains, taels, pennyweights, mommes or other units, Ohaus has a product for your needs. Please browse our selection below. The Diamond MCT 500 carat balance combines unsurpassed value with solid reliability. Featuring the same precision than more expensive analytical carat balances, the Diamond MCT 500 is the perfect ecomomic alternative. The Sapphire 10 is our new portable carat scale from Ohaus. 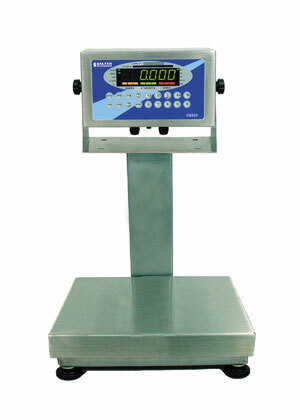 Gem weighing is easier than ever with simple 2 button operation and a large, high contrast LCD display. 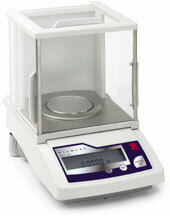 The laboratory style draftshield ensures accurate weighing in a stable environment. With jewelry weighing units that include g, oz t, ct, gn and dwt, jewelers now have the versatility needed for quick conversion into any precious metal unit. 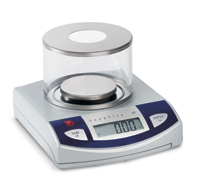 The Sapphire 500 is our new capacity 500g x 0.1g scale. For ease of use it features the same 2 button operation and high contrast LCD display found on the Sapphire 10 model. The Sapphire 500's jewelry weighing units of g, oz t, ct and dwt make it perfect for appraisals, bench, showcase and inventory applications.